When Gotham premiered this fall, it was Fox’s darling, a massive production that nabbed plenty of eyeballs and acclaim. However, this spring, the network took more than a month off from Gotham. The superhero series returned to the schedule for the first time since early March last night, but it wasn’t exactly a triumphant return. In fact, the numbers last night were the worst the show has seen since it premiered last September. Gotham’s latest, “Beasts of Prey,” may have featured new villain The Ogre, but that wasn’t enough to entice audiences to turn up. The ratings this morning indicate that only 4.4. million total viewers tuned in for Gotham’s big return to the schedule, yielding a 1.5 rating in the 18-49 demographic for Fox. It’s even worse when you look at the numbers in terms of percentages. According to The Wrap, Gotham dropped a whopping 25% in the ratings when the new episode aired. The lengthy hiatus and lack of Empire to hype up new episodes of Gotham may both have contributed to the lackluster ratings. In addition, it looks like Heroes’ Milo Ventimiglia may not have been as much of a draw as people may have guessed as the Ogre. Regardless, Gotham is well down from the more than 8 million total viewers who tuned in for the premiere, and even pretty far down from the numbers the show was getting before the recent break. The good news for Gotham is that the series has already been renewed. Fox made the decision regarding its comic-book based property back in January, along with other newbie drama Empire and the well-liked police comedy Brooklyn Nine-Nine. In fact, ratings are known to dwindle on the networks as the TV season wears on, but unfortunately, Fox seems to have exacerbated this process by giving Gotham a lengthy break in the middle of the midseason schedule. (This is opposite the strategies of the likes of ABC’s Once Upon a Time, which didn’t premiere after the winter break until March.) It's too early to tell, but I would be shocked if the ratings recover by the finale. Of course, there’s always a chance that a faction of viewers might catch up by next week. The pre-Batman drama has already hinted that a major character will be killed off before Season 1 finishes out its run, and as such, the first season should go out with a bang rather than a whimper. In addition, the drama has already revealed some of the directions it wants to go in during Season 2, so there’s a lot to look forward too in the future. 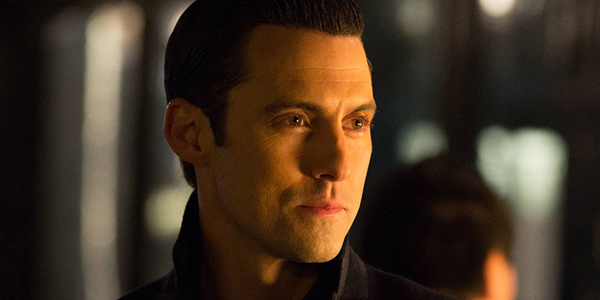 Fox’s Gotham currently airs on Monday nights at 9 p.m. ET.